RBC DRIVE is the must-use application for Canadian car owners, centralizing all car-related needs in one, intuitive mobile app. 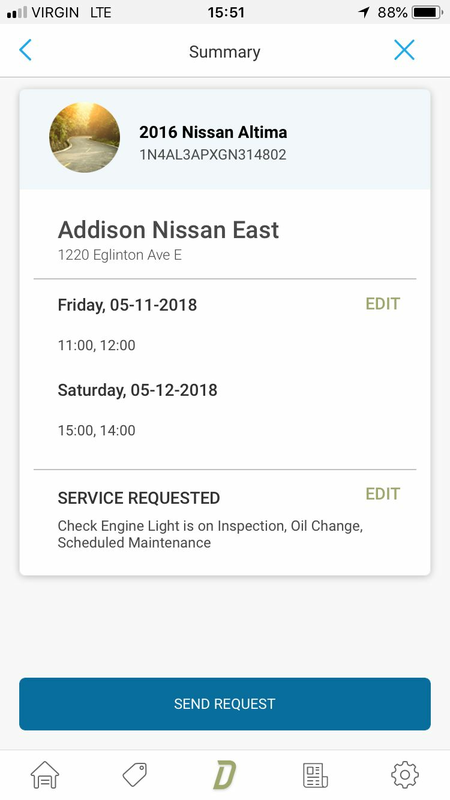 DRIVE users have access to a digital glovebox that includes the estimated present and future value of their car, up-to-date recall notices, news alerts, gas station information, curated offers, the ability to book services, test drives, store documents and much more. After downloading DRIVE, a user can add their car through a License Plate or VIN. In general, most vehicle information is conveyed by VIN, but consumers often only know their license plate. Decoding and linking information between VIN and license plate was crucial to making the app as usable as possible. 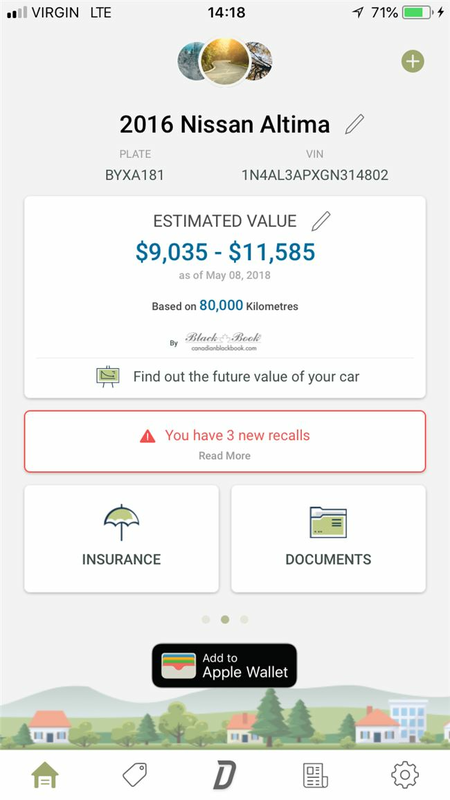 Once a user provides a License plate or VIN, the DRIVE app decodes the data to show the vehicle details, current value of the car and a value depreciation estimate over time. This can be crucial information for car owners who are thinking about the best time to sell. Within the dashboard screen, users are also given a list of the recalls relevant to the car added. Often with a change of address or used car purchase, the manufacturer lacks contact details to deliver recall notices. DRIVE bridges that gap, making our roads safer by enabling vehicle owners to stay up-to-date on critical updates. Since DRIVE's launch, it has been well received by users and gained considerable traction in app installs and usage. 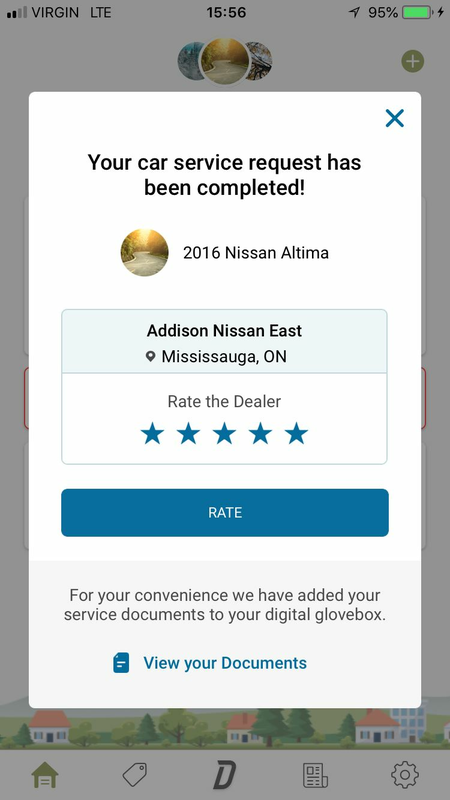 Savva T., Toronto ON: “Very impressive! 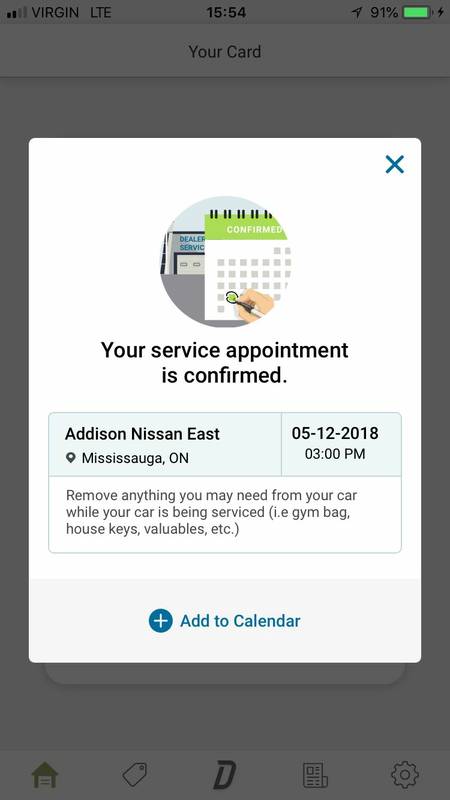 I recently used Drive to book a service for my car. 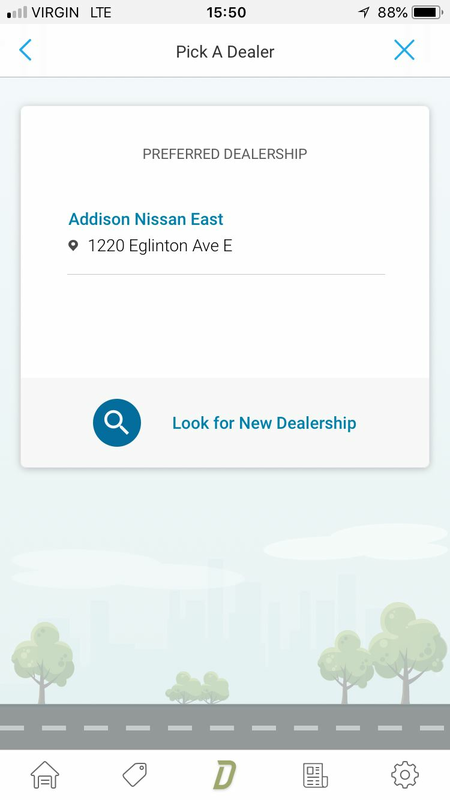 I really enjoy the ability to choose different services, add notes and send it straight to the dealership of my choice! Moreover, got my service record stored the on my phone after! Great experience!" DRIVE provides a secure digital glovebox to store all important car related documents such as registration, insurance records, roadside assistance, maintenance history, and more. This feature ensures that users have all the documents they need right when they need them. Through a partnership with Petro-Canada, DRIVE lets users search for nearby Petro-Canada gas stations, the types of fuel dispenses, hours of operation and directions to get there. DRIVE also features a digital wallet to store the Petro-Canada loyalty card. In DRIVE's private beta version, the app captures car information and provides users with valuable insights. For example, DRIVE can diagnose problems with the car and even provide repair estimates. For our self-employed users, DRIVE will record every trip and generate reports that can be used for tax filing purposes. Finally, DRIVE's private beta version also calculates your car's future value against loan payments and identifies the ideal time to trade-in for a new car. Future plans for DRIVE include continuous deployment of new features to address consumer needs and solve additional problems in the mobility space. Our hope is for DRIVE to continually empower vehicle owners in the digital age by providing much needed accessibility in aftermarket auto care. DRIVE was created by the Royal Bank of Canada (RBC). 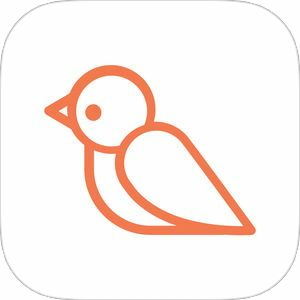 The app is available throughout Canada for iOS, Android, and the Web.